Did you know that the U.S. Department of Energy (DOE) considers having adequate ventilation the most important aspect of the HVAC (heating, ventilation, air conditioning) model? There are three main reasons for this. First, ventilation can improve the effectiveness of either heating or cooling. Second, ventilation is highly cost-effective. Third, ventilation also uses less energy than any other method of indoor air temperature control. But it is also important to use the right type of ventilation at the right time of year in the right way in order to receive these three benefits. In this article, we will review the four main types of ventilation, when and how to use them, and how they can save you money on your monthly energy bills. There are four main types of ventilation systems you can use separately or together. Each has its own unique benefits that are important to recognize and use. Individual room fans come in a variety of configurations. You can place portable models on the floor or on a table. Mountable units can be permanently installed on a wall or ceiling. Mountable ceiling fans generally have a toggle switch that changes the airflow for the warm and cool seasons to maximize energy efficiency. Another way to generate individual room ventilation is to run a window A/C unit on “vent” mode, so that it pulls outside fresh air into the room without cooling it first. 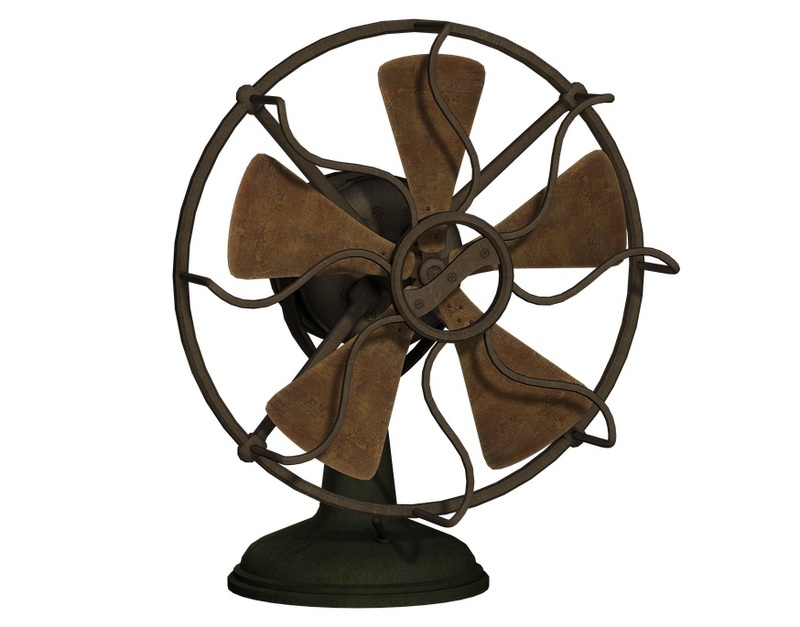 Still another type of individual room fan is the exhaust fan found in many bathrooms, kitchens, and laundry rooms. These fans pull moist, stale, polluted air out of the room and exhaust it to the outside. These fans make use of what the DOE calls the “wind chill effect” to cool the room’s occupants. In other words, an empty room with a fan running is just a waste of energy, since no one is there to feel the wind chill. Whole-home fans are sometimes also called exhaust fans. They will work only when the windows are open, but have been proven to be very effective at keeping the interior cool even on very hot days. These fans are usually mounted in the attic. They pull fresh air in through the windows and push hot, stale air out through the attic vents to keep the indoor air both fresh and cool. Wind ventilation is nothing more than opening windows and/or doors to allow fresh outside air to circulate through the rooms of your home. It can also take place through a process called “infiltration,” where fresh air sneaks in through leaks and cracks in your home itself. But the trend towards “airtight construction” for newer homes has all but eliminated this source of wind ventilation. Not only is wind ventilation an optimal tool for cooler seasons and climates, but it also ensures your air stays oxygenated and doesn’t grow stale. The best and most reliable ventilation technology currently available comes in the form of the heat recovery ventilator (sometimes called the energy recovery ventilator). This system accomplishes two critical tasks: it keeps fresh incoming air and stale outgoing air 100 percent separated so the two air streams never mix, and it naturally balances your indoor air’s humidity levels based on the season. In this way, the heat recovery ventilator also acts as an extra layer of air filtration, removing toxins, pollutants, germs, pollens, and other unwelcome airborne visitors before they can ever reach the interior living spaces of your home. Ventilation ties the whole HVAC system together. Without ventilation, there is no way for the indoor air to refresh and re-oxygenate itself, which is when health symptoms like memory fog, headaches, itchy respiratory passages, nasal congestion, sore throats, and illness can begin to appear. In order for your ventilation system to work as it should and achieve the desired results, you will need to make time for some routine maintenance. How often you perform this maintenance will depend on where you live and how much you use your ventilation tools. Placing secure permeable covers (like a mesh grille) over vents with exterior openings to keep birds and debris out. Periodically scheduling a professional cleaning of your indoor air duct system to remove longstanding built-up debris. Here at Clean Air Solutions Hamilton, indoor air ventilation is one of our specialties. We invite you to participate in our Breathe Clean Air event, which offers 20 percent savings on all whole-home indoor air quality equipment. To learn more, give us a call at 905-544-2470.